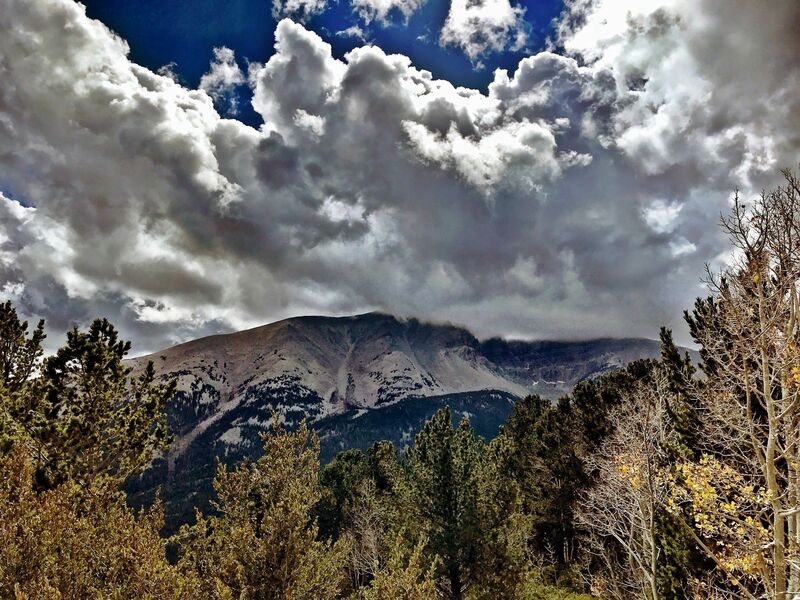 Looking for a great trail in Great Basin National Park, Nevada? 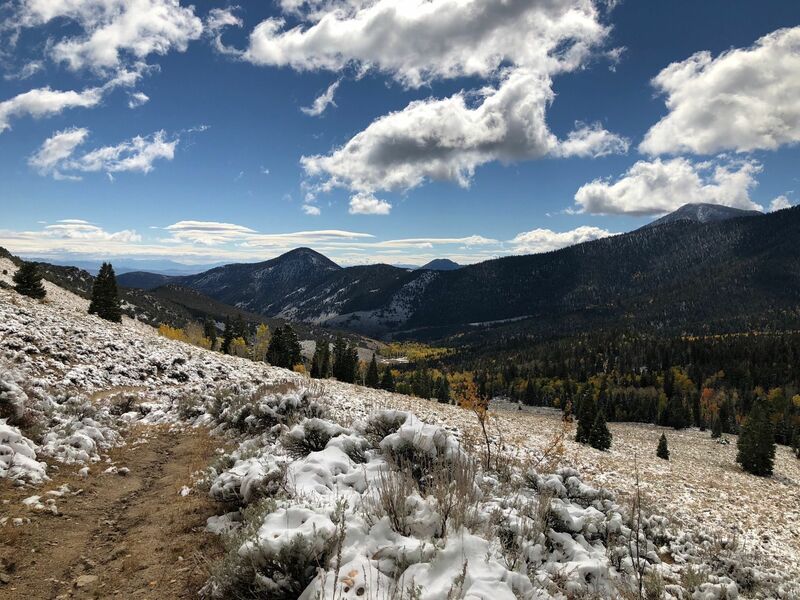 AllTrails has 22 great hiking trails, views trails, forest trails and more, with hand-curated trail maps and driving directions as well as detailed reviews and photos from hikers, campers, and nature lovers like you. Gearing up for a challenge? 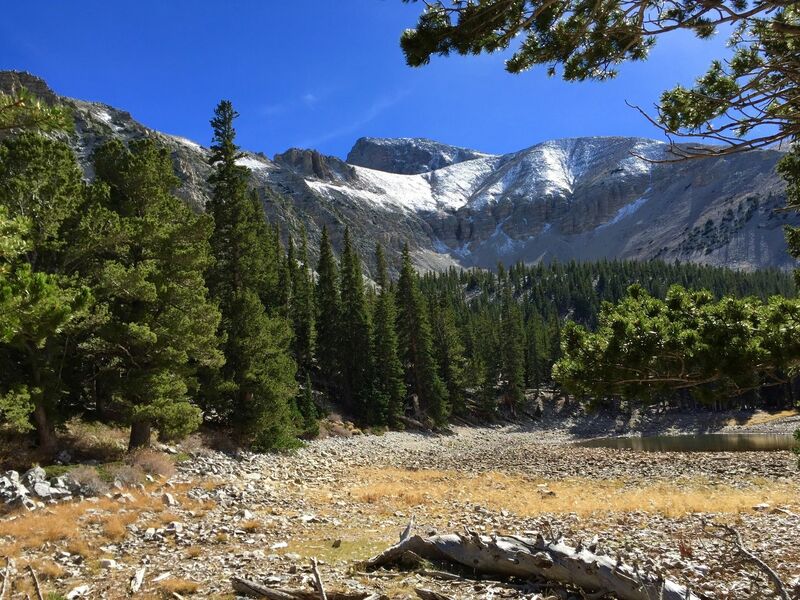 There are 8 hard trails in Great Basin National Park ranging from 3.6 to 12.9 miles and from 7,339 to 13,054 feet above sea level. Start checking them out and you'll be out on the trail in no time! 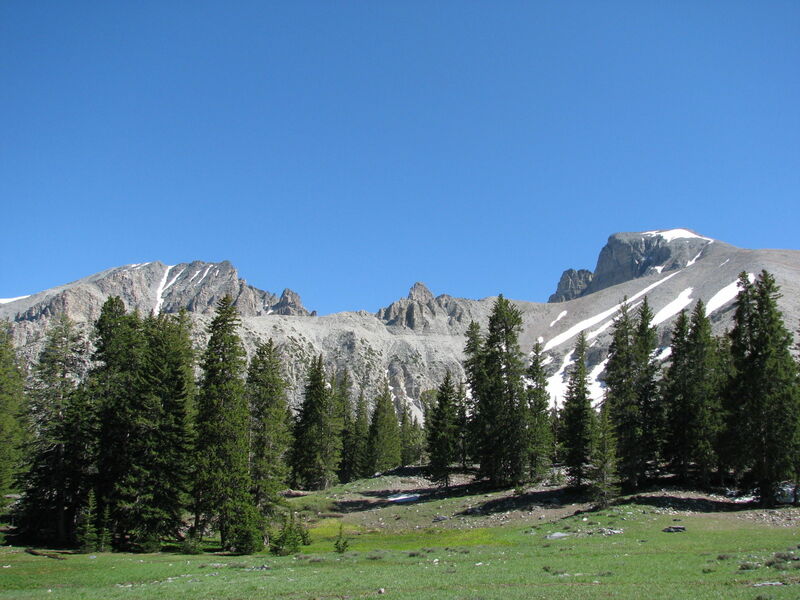 Based around Wheeler Peak, the Great Basin has 5,000-year-old bristlecone pines, glacial moraines, and the limestone Lehman Caves. 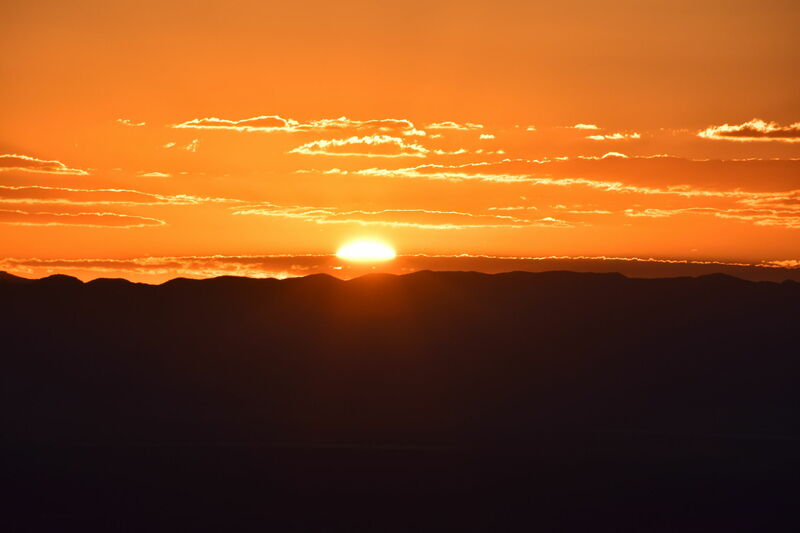 It has some of the country's darkest skies and animal species including Townsend's big-eared bat, Pronghorn, and Bonneville cutthroat trout. Hiked in July 2017. Beautiful views at the top! Pay attention to the weather...I got hit with hail on the way down. Very beautiful and very easy! 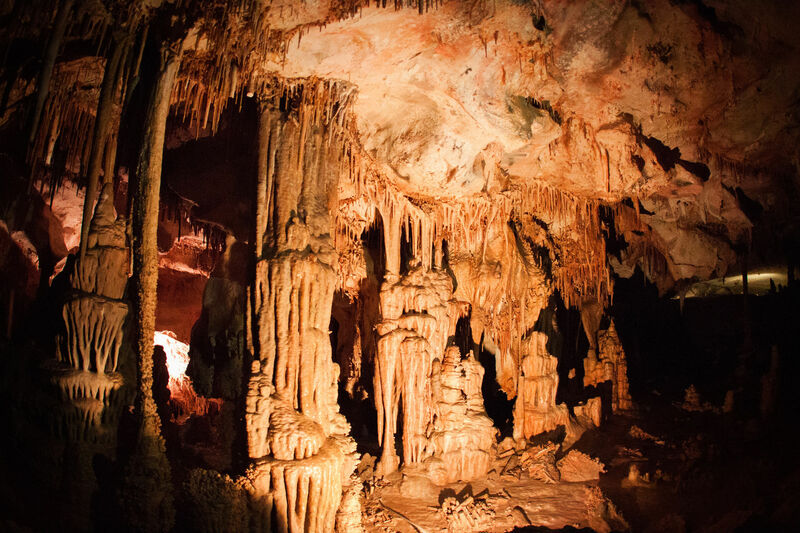 This is a guided tour ($11/person). Make sure to book online in advance! Awesome! Easy nice guided tour. Its like walking into another world the variety of formations is something special. Nice hike. 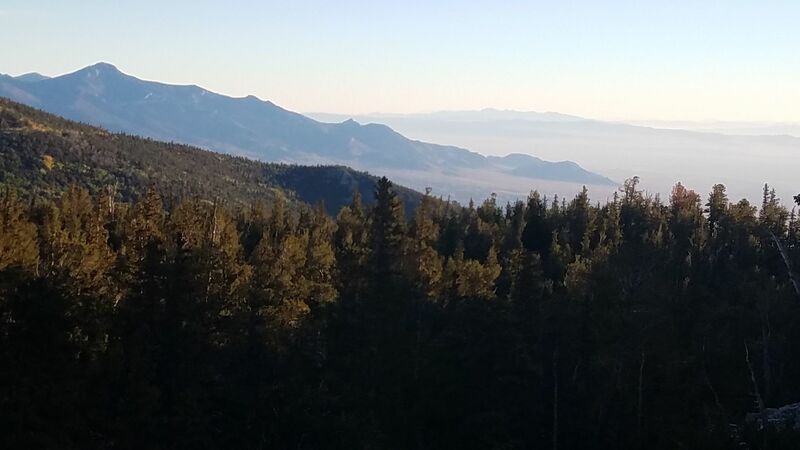 1st I've done that goes above 10,000 ft. Was surprised how much the elevation affected breathing. Great views, the trees are awesome, do the hike past the trees the views are worth it. 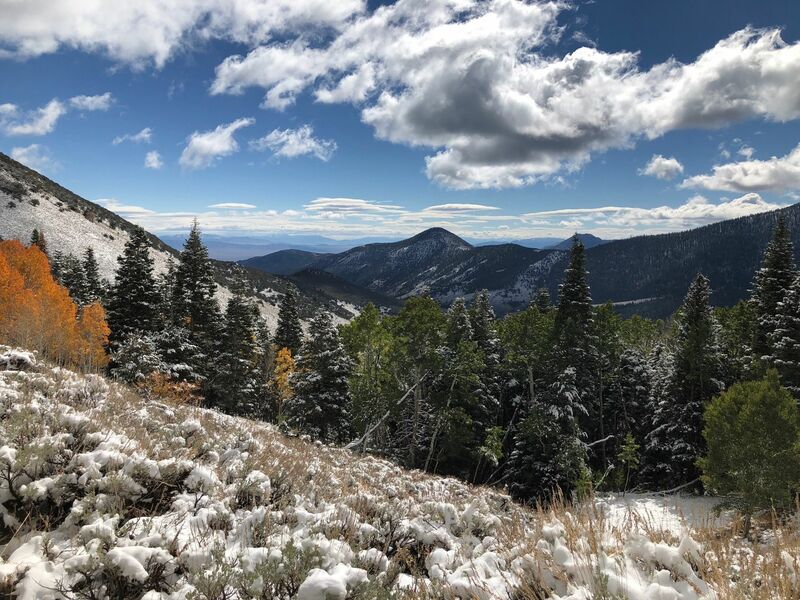 Went in early June and there was plenty of snow. 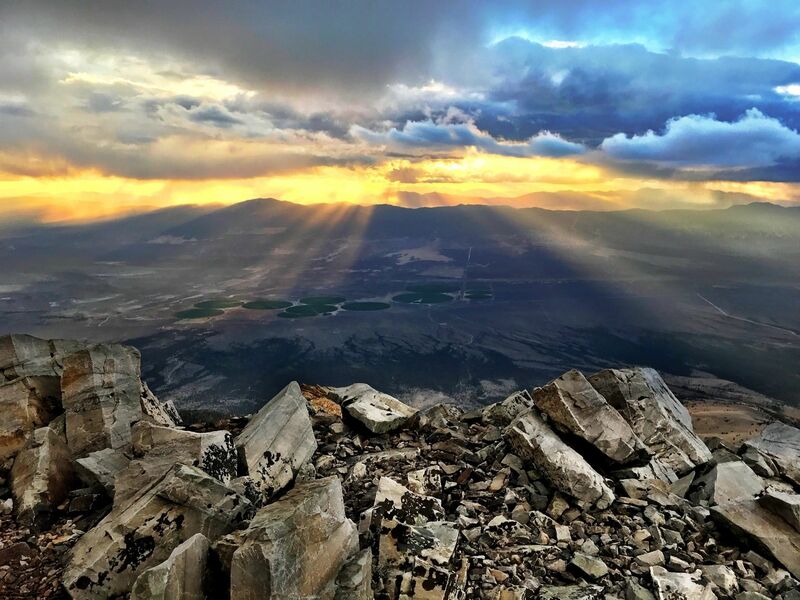 Hiked April 2018. 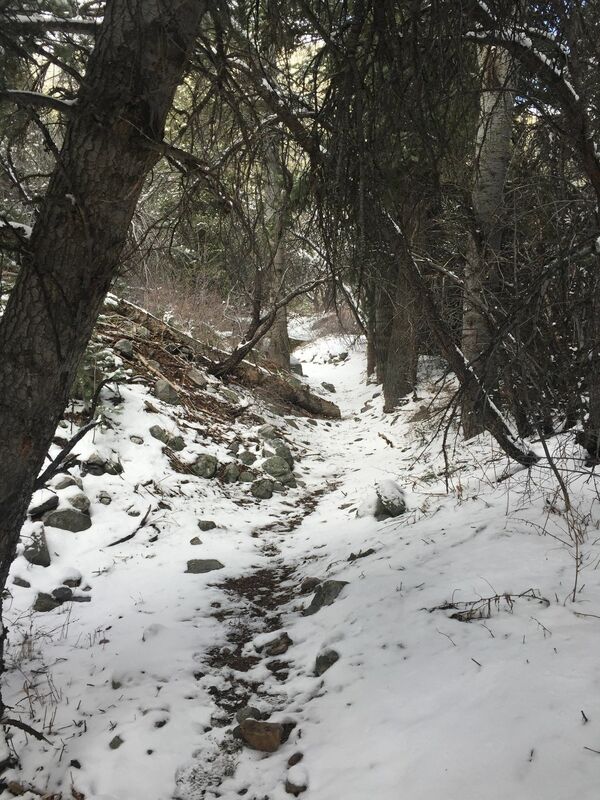 Pretty, snow covered trail that ran along side a stream part of the way. 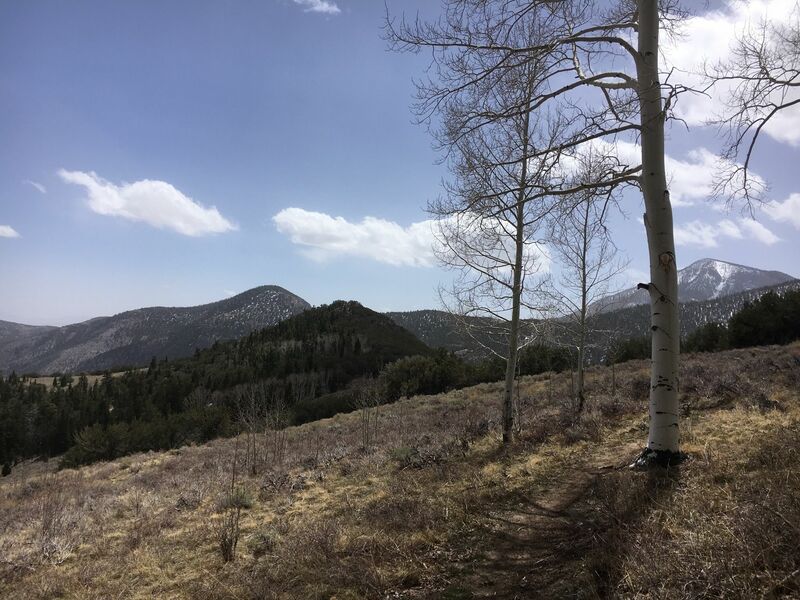 The starting elevation and gain made this hike a little tough, but the trail opened onto a meadow with beautiful views of Wheeler Peak. Totally worth the effort! 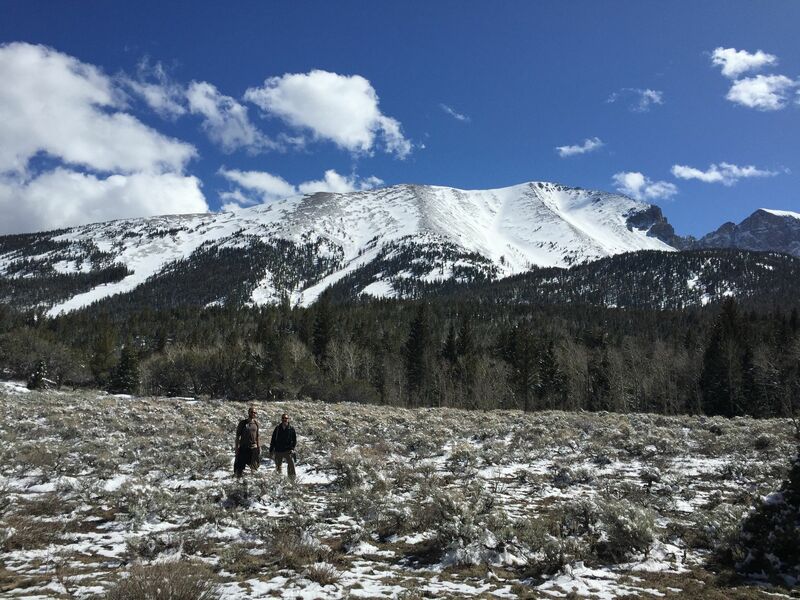 Hiked in April 2018. Pretty, snow covered trail with lots of wild turkeys. We did not have a lot of time, so we did a 3 mile out and back. Great views of the valley. Great! This is NOT for the faint hearted. While the elevation gain was not the highest, the loose rocks and the potential for afternoon thunderstorms are big concerns. Not to mention the heavy wind and full exposure on top. Better to go early and go in late summer. This was my first peak and I conquered it solo! I love the trails surrounding that area. 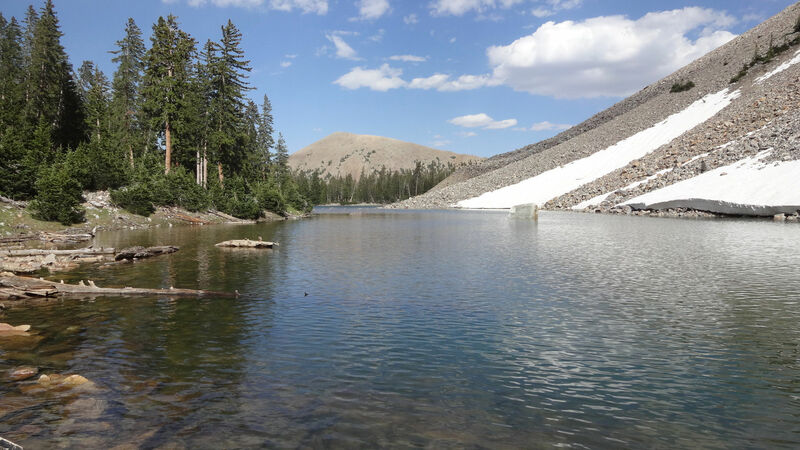 The lakes are gorgeous and refreshing on your way up. 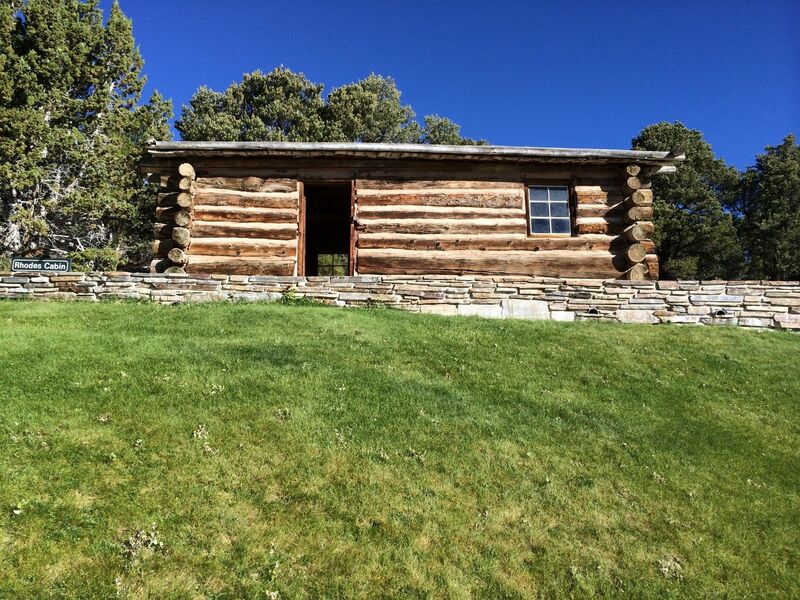 I learned a lot about myself and how to care for myself better through this trek. Thanks Wheeler! 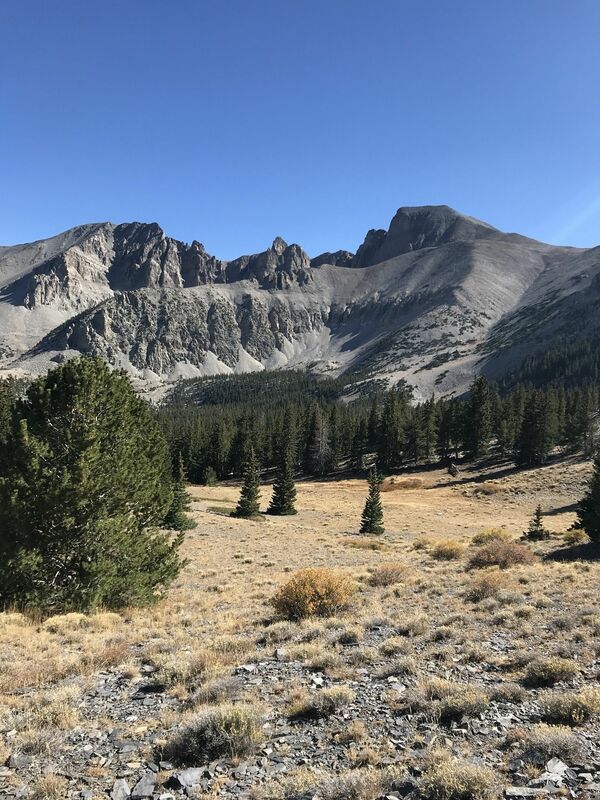 After taking the first Lehman Cave tour of the day (a wonderful 90 minutes), I navigated the 12-mile drive to the end of the road where the Wheeler Peak campground and Bristlecone/Alpine Lakes/Wheeler Peak trailheads are located at approximately 10,000 feet. 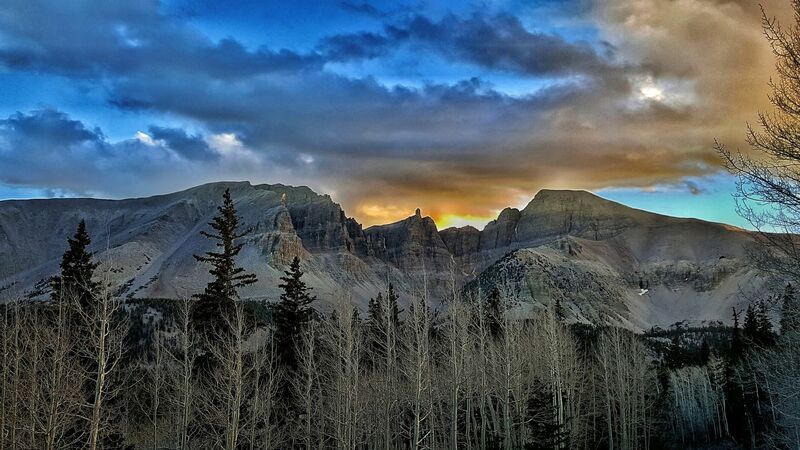 Be sure to stop at both Mather and Peak Overlooks on the way up for spectacular views of Wheeler and Jeff Davis Peaks. 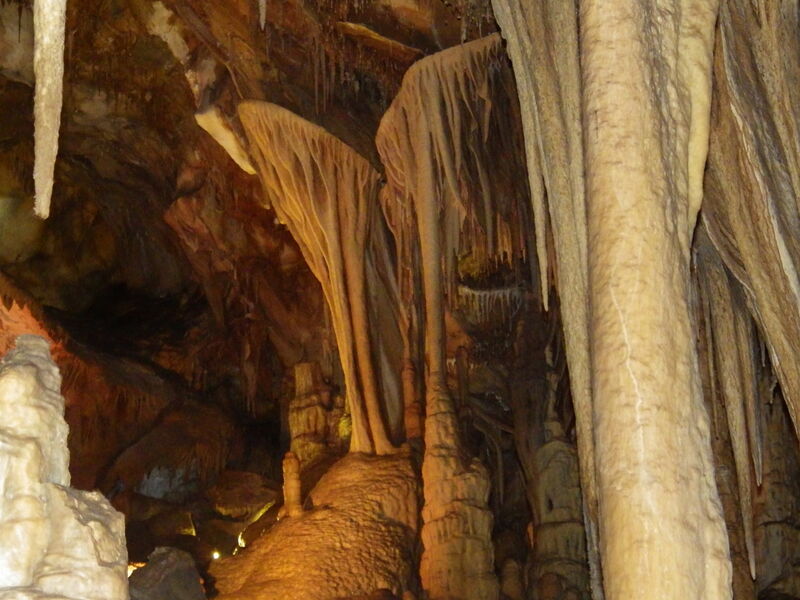 There are also several other places to pull over that showcase the amazing scenery of the park and surrounding area. 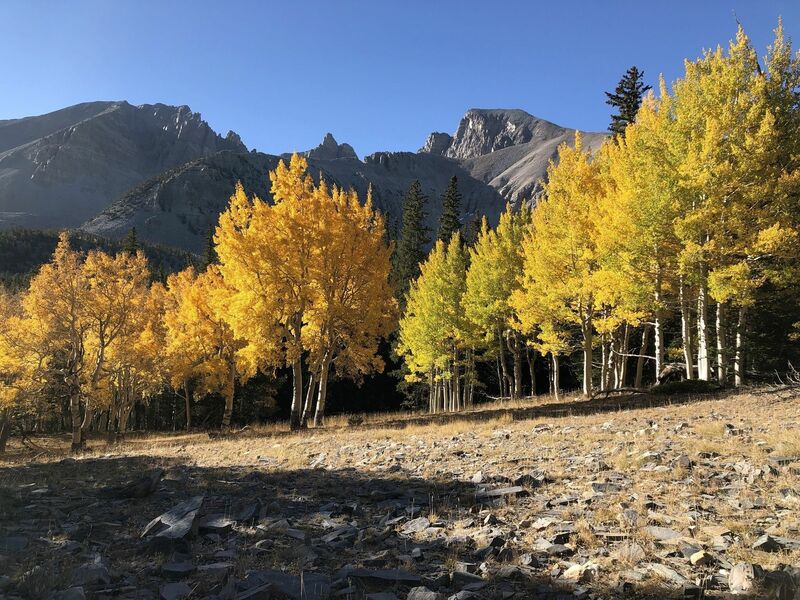 I was fortunate to visit in late September, just as many of the aspen trees were turning an amazing golden color...particularly in the vicinity of the beautiful Alpine Lakes Trail. Did this hike yesterday in deep snow, packed in places but crampons definitely necessary! 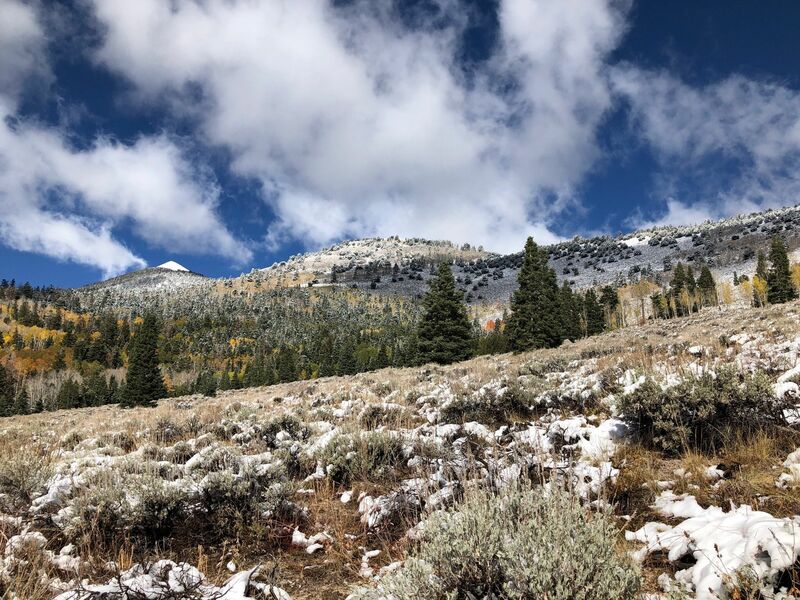 I had to hike up this trail to access the Bristlecone Pines trail as the road was closed after Upper Lehman Creek campground. The whole thing was pretty unmemorable - just a walk through the forest, not even close to the creek the vast majority of the time. Some decent views in the later half. I hiked this in fresh snow in snowshoes (the Lehman Caves visitor center will loan them out for free) and it was so amazingly peaceful and quiet. It felt incredible standing in the presence of the ancient trees. Didn't see anybody else the entire time - truly a spectacular experience. 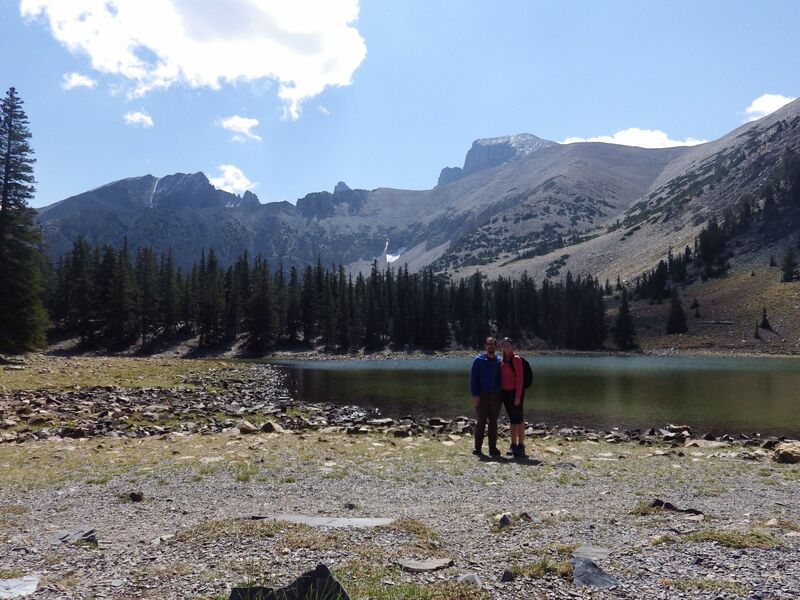 This hike was especially nice the weekend of September 21st. 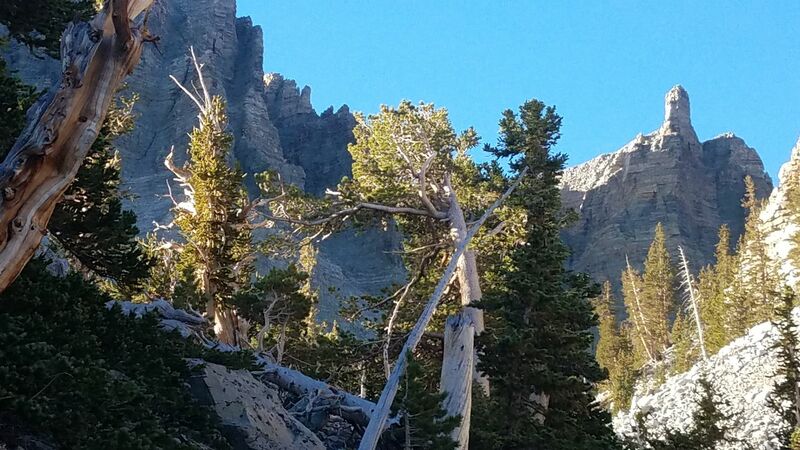 The alpine trees were magnificent and the trails were not busy at all. 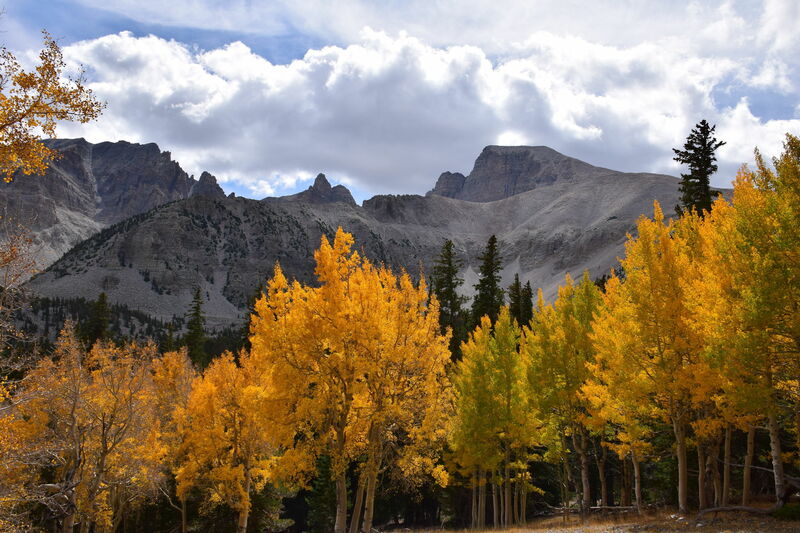 The aspens are out which is stunning. 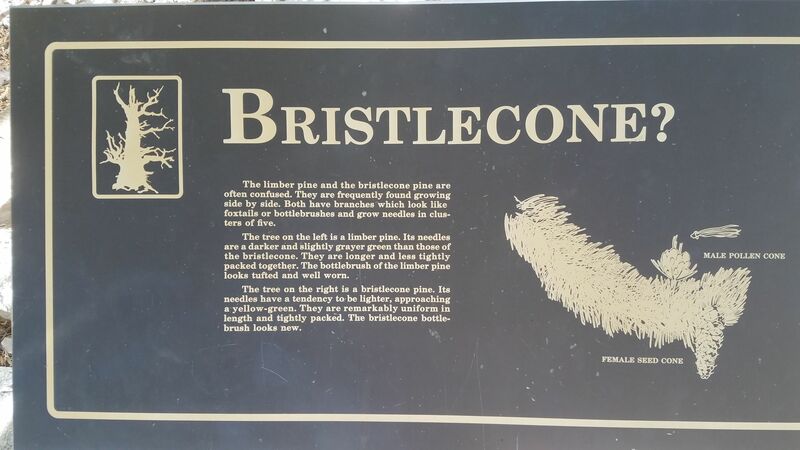 The bristlecone trees were fun to learn about. I would say it is not worth it to proceed to glacier peak. The glacier is barely visible. It was not physically hard to get there, there was just seemingly no reward. 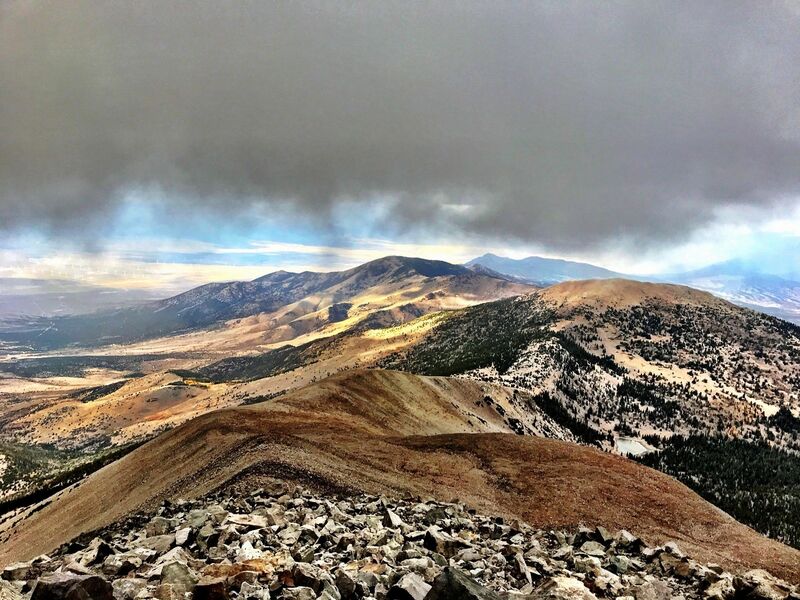 You can start this hike from either the trailhead at the end of Wheeler Peak Scenic Drive, or at the "official" Wheeler Peak trailhead, which is maybe a quarter mile down the road as shown on the map here. 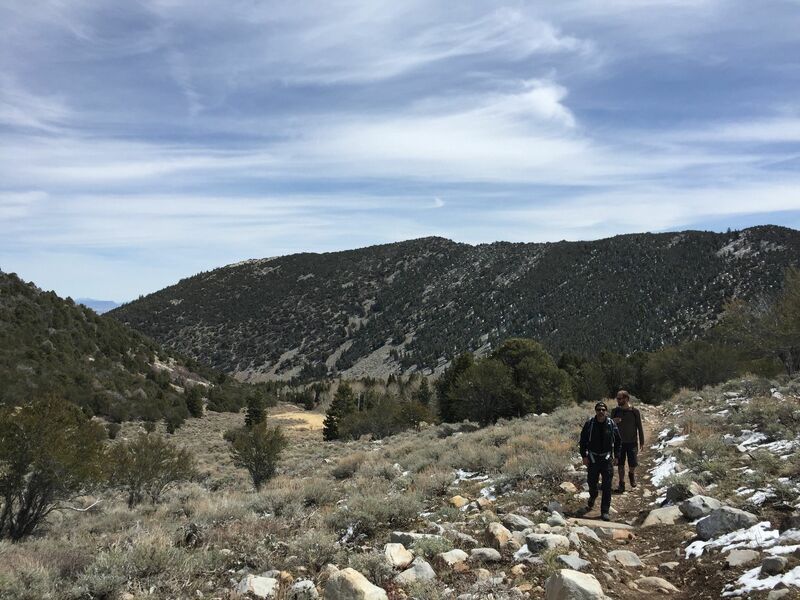 I have tried both and prefer the latter option, where you are cutting 200 ft of elevation gain from the hike, but gaining maybe an extra half mile of distance. 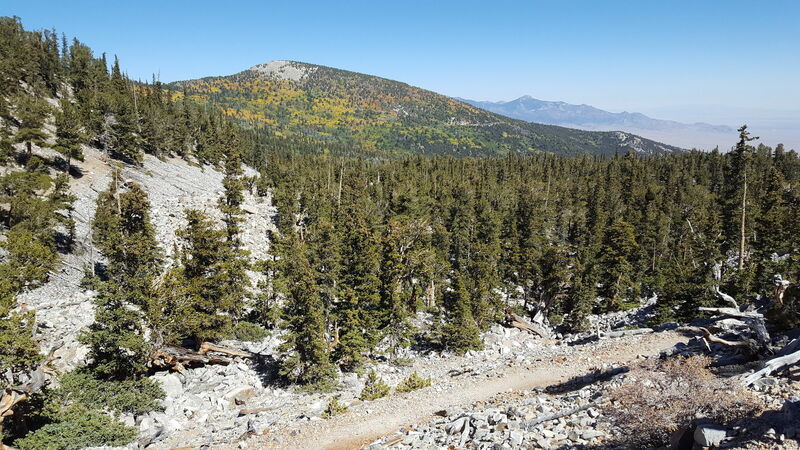 This trail does not bring you right by Stella Lake, but you get a good view from above as you ascend to the saddle. 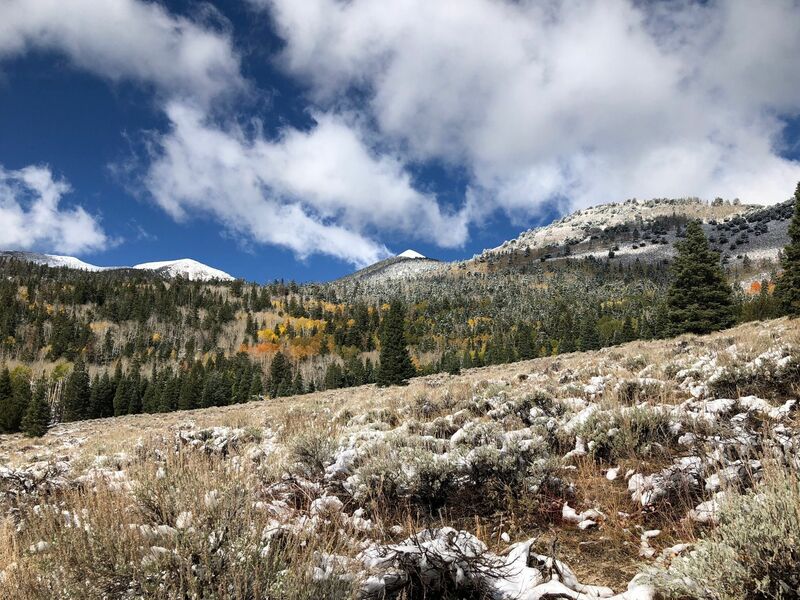 I thought this would be a good time of year to try to make it all the way to the top, as it is too early for any snow and ice, and not too hot at the lower elevations. But it turned out to be a red flag day for wind, so I knew there was a good chance I wouldn't make it to the summit. That was a good assessment, because at the 3.5 mile mark, the wind was so strong I thought it was going to blow my glasses off my face. 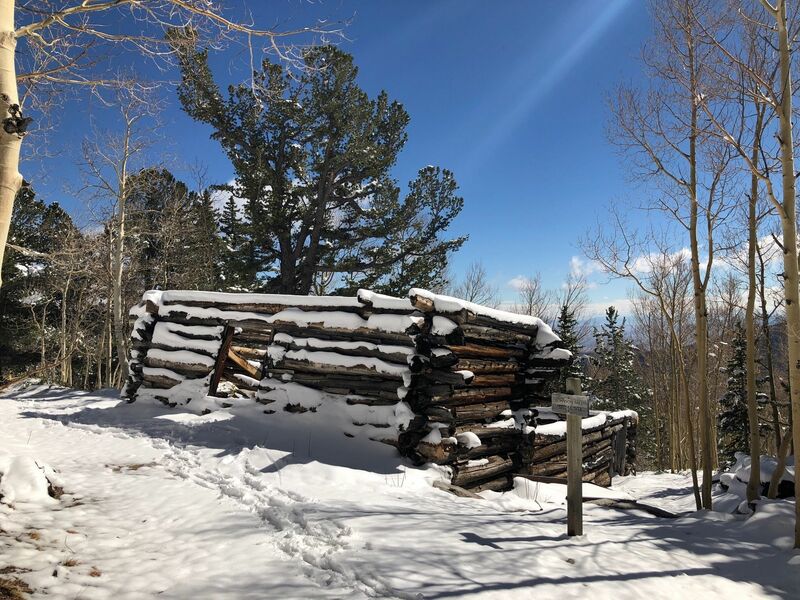 So I turned back, not just because of the wind and cold, but at this point you are facing another 1000 ft of elevation over .7 miles at 12,000 ft of elevation. I'm sure I will try again. 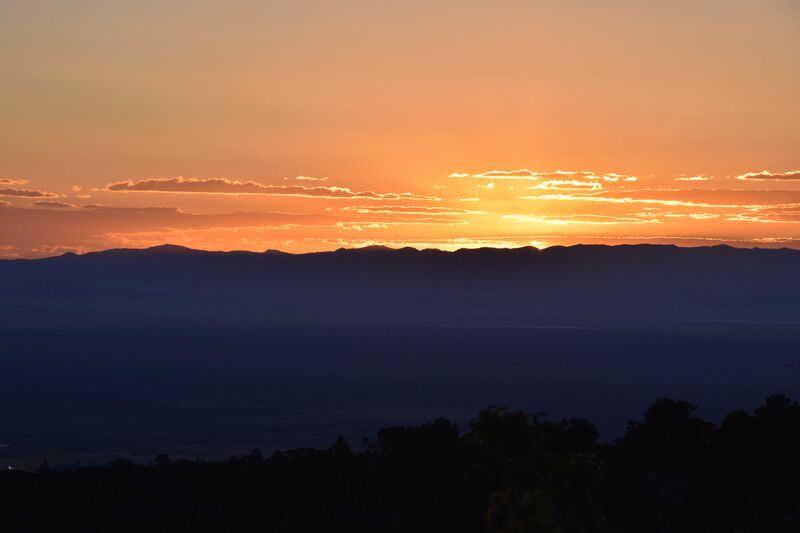 Fortunately, you don't have to make it to the summit to enjoy spectacular views and a major sense of accomplishment. 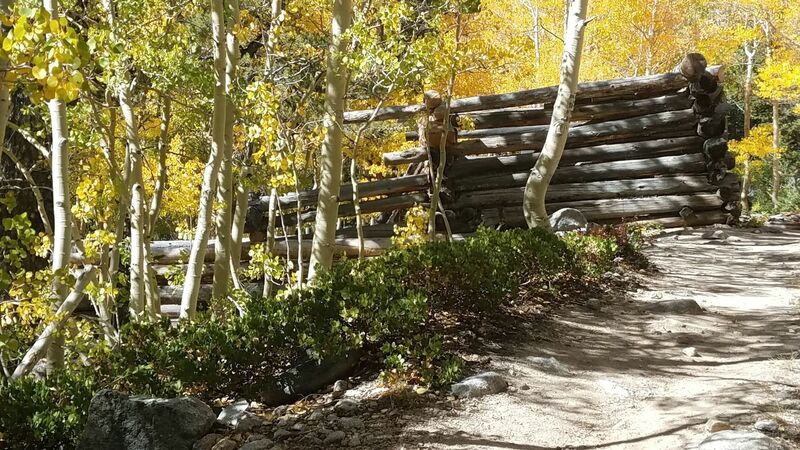 The aspens are changing color right now and it's beautiful to see the bright reds and yellows in the landscape. 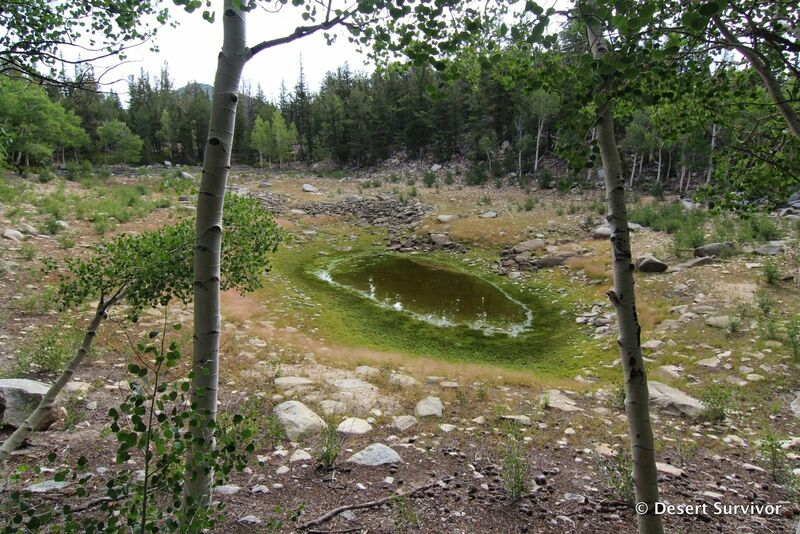 We just did the majority of this hike and the quaking aspen were amazing: brilliant yellows everywhere. We saw lots of deer hiding from hunters and they carefully inspected us, but we were able to get a few good photographs. 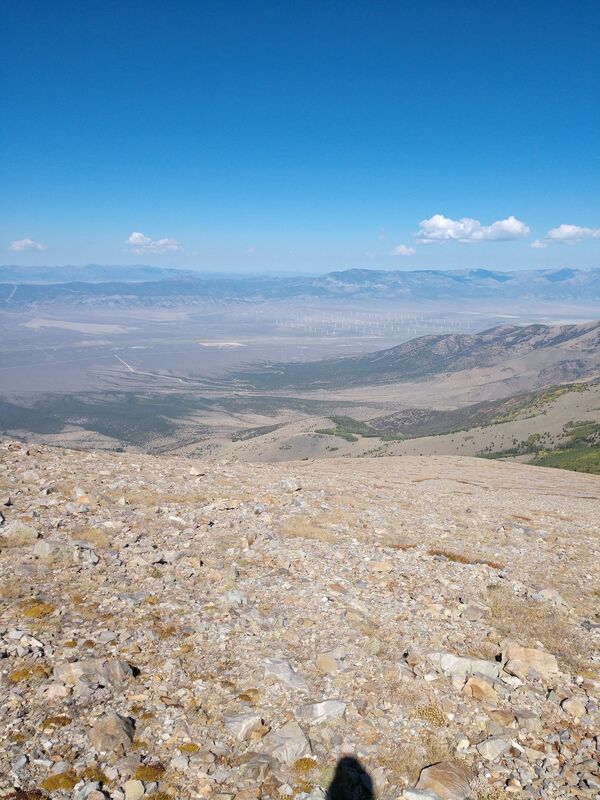 The wind was blustery from nearly the beginning but became ferocious as we reached the exposed talus slope. On our way up, only one man said he conquered the wind to the top. 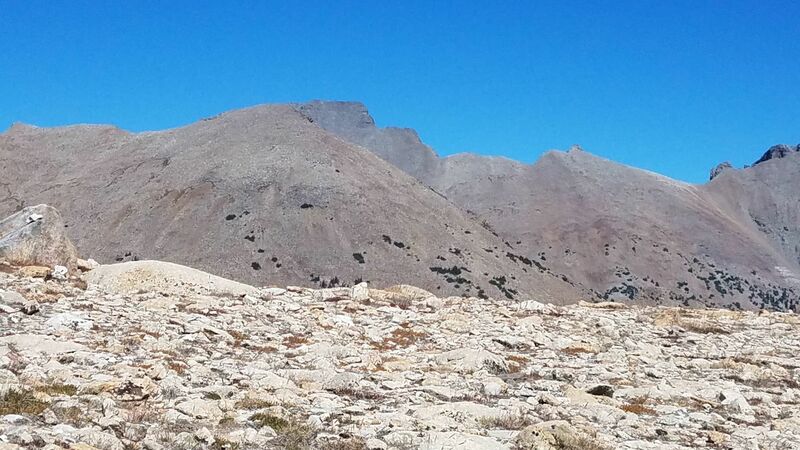 Everyone else shook their heads and said “another day.” One couple above us steadfastly clung to the talus trail, but we turned back at around 12,000 feet and didn’t wait to see if they made it. This is an amazing hike and the country is absolutely stunning. Wear layers and bring gloves to protect your hands if (when) the wind decides to toss you around a bit. 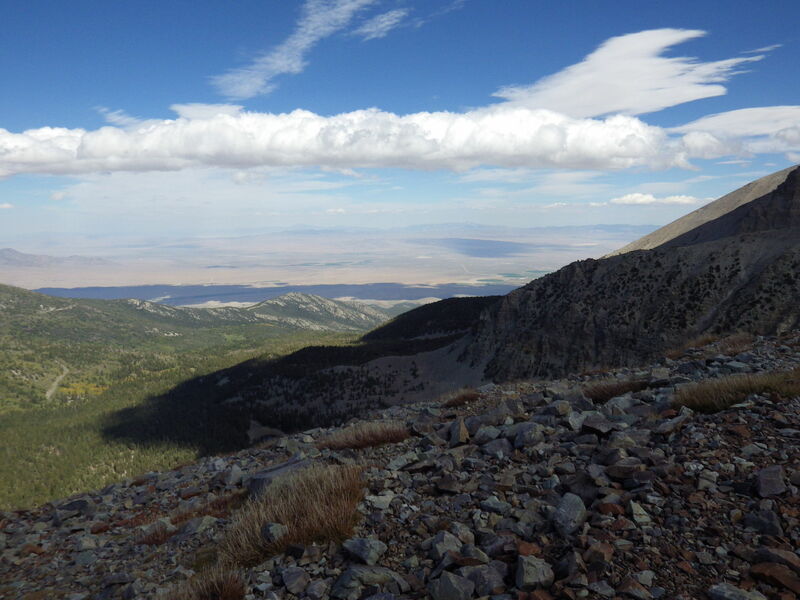 The Glacier Trail begins at the parking area and campground at the end of the Wheeler Peak Scenic Drive in Great Basin National Park. The trailhead has restrooms and water. 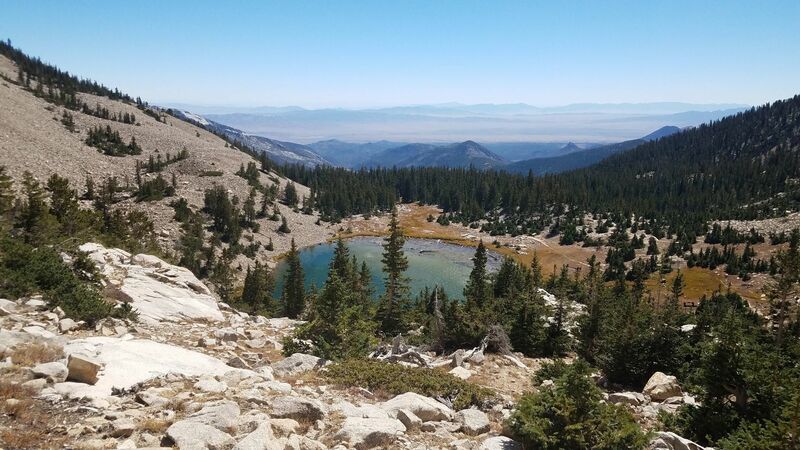 This is also the access point for the Alpine Lakes and Bristlecone loops, and you could use it as a starting point for the trek to Wheeler Peak. This hike is fantastic. It took me much longer than expected because I kept stopping to take pictures. 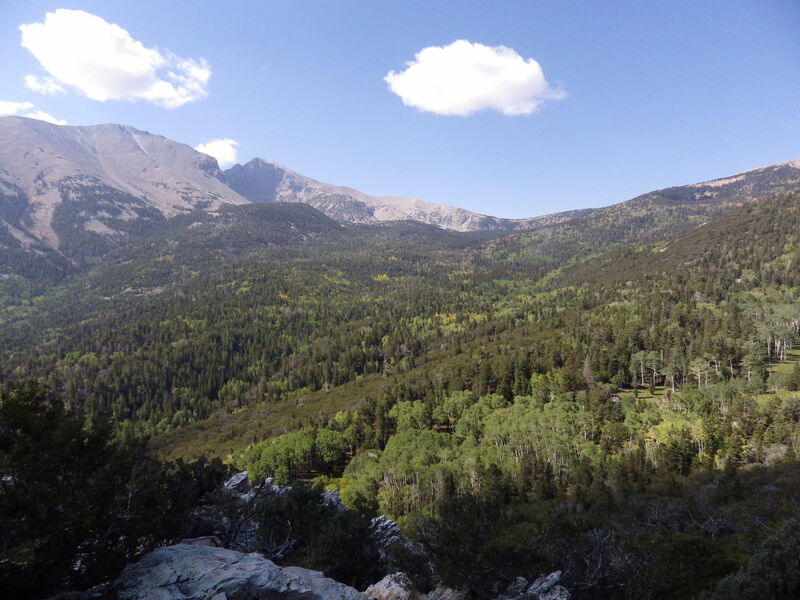 You begin by walking through a forest and eventually through a desolate rocky area leading up to a viewpoint for the glacier at the base of Wheeler Peak. 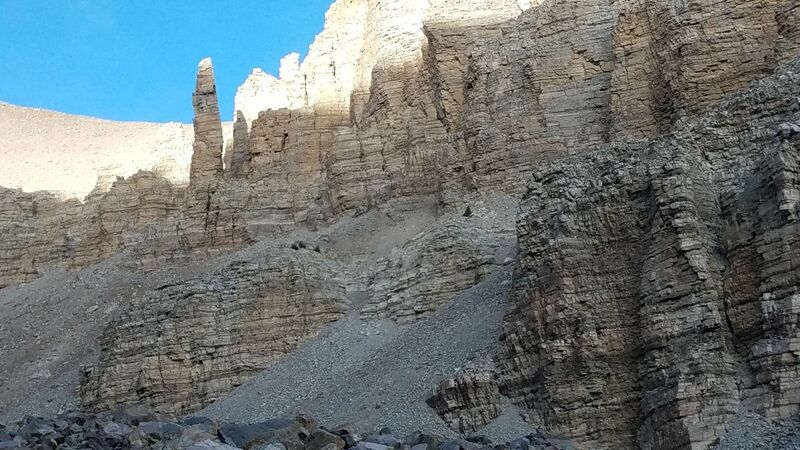 The glacier is actually pretty small right now, but the towering cliffs all around provide spectacular scenery. 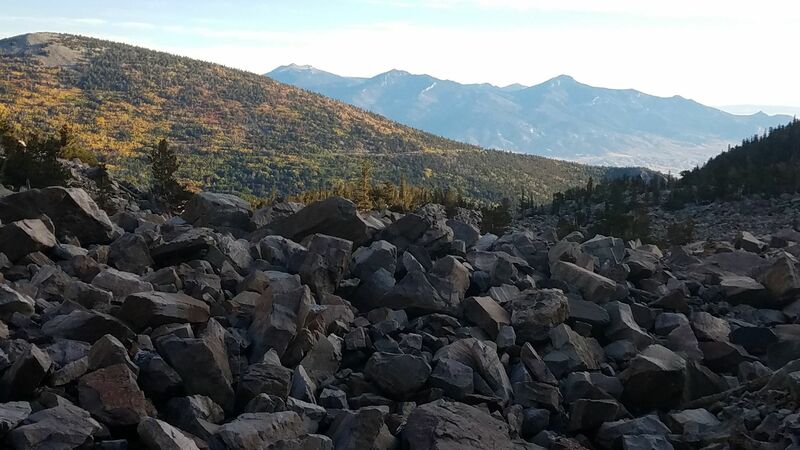 Right now, if you look back down the trail you can see the landscape of the Great Basin in the distance, with the aspens just beginning to change color, introducing fiery red color mixed in with the green. 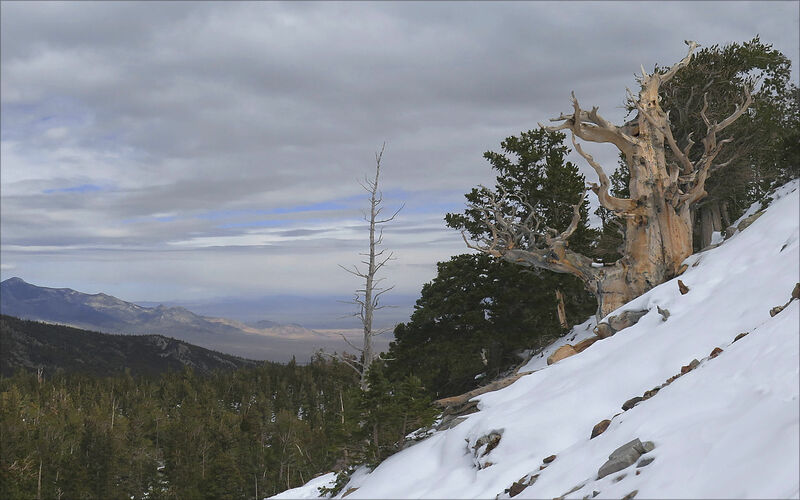 Along the trail you also have the option to do the short Bristlecone Pine loop, which has genuinely interesting interpretative signs about these ancient trees. This trail is one of the more popular trails in Great Basin park, but the park is not very heavily used, so traffic is light. 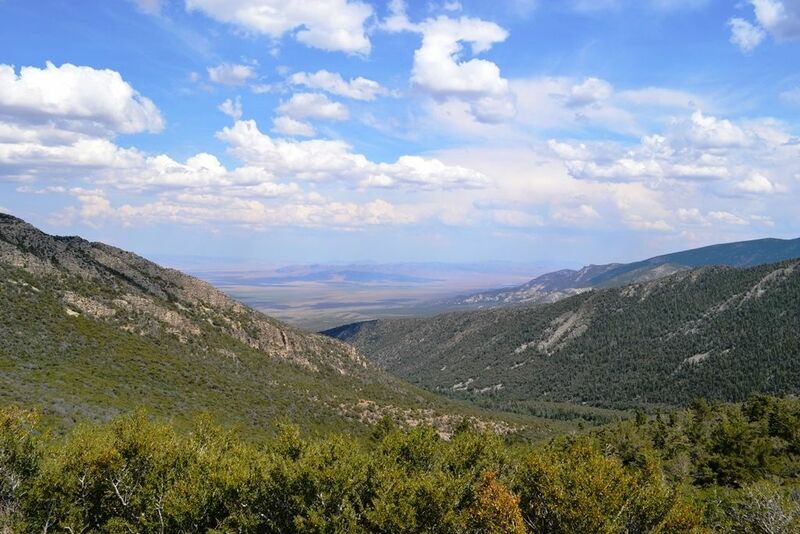 This route to Johnson Lake starts at the end of White Pine County Road 42 in Great Basin National Park. The dirt road is in pretty good shape except for some slightly rough stretches near the end, but it is narrow in places. There is a restroom at the trailhead, but no water. 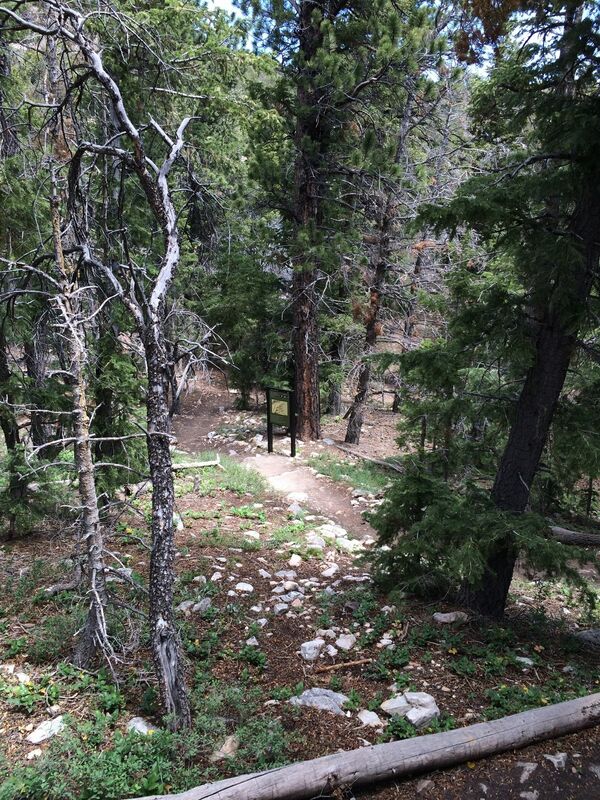 I think this route is shorter, but steeper, than the trail from the Baker Creek Road trailhead. I found this hike to be more strenuous than I thought it would be from the statistics. Maybe I was just having a bad day. 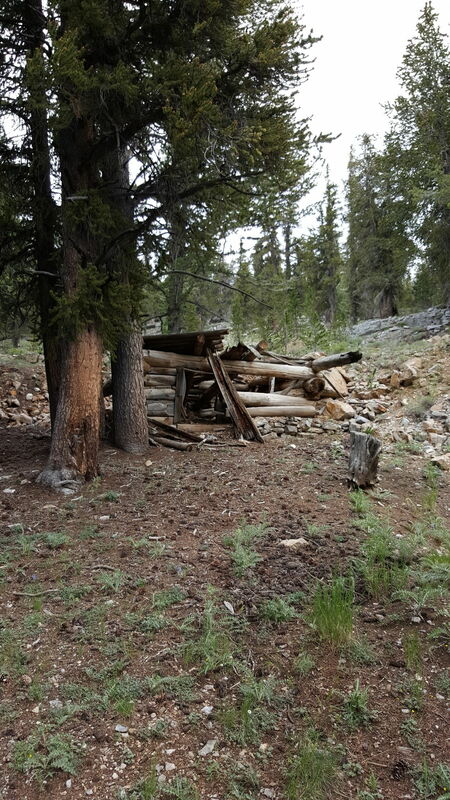 As you near the lake, there are the ruins of some cabins from an old mining operation, and at the lake there are additional industrial artifacts. 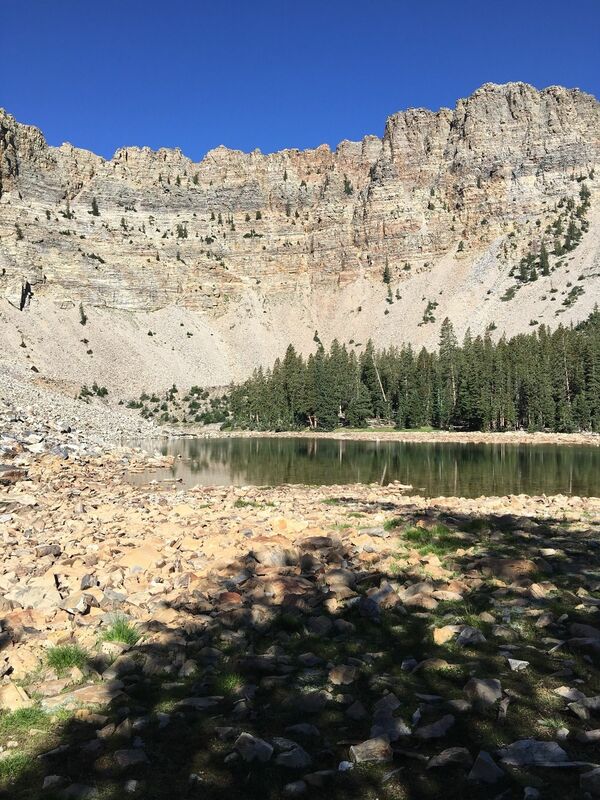 The lake is nothing special, as alpine lakes go, but it's scenic enough. 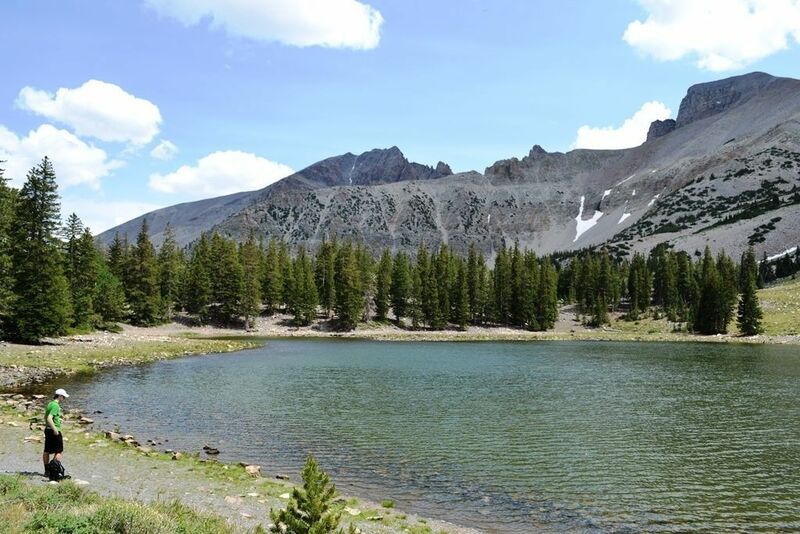 You can continue past the lake and climb up to a saddle that provides access to a trail going over to Baker Lake, or to Pyramid Peak. Climbing up to the saddle was a pretty steep and slightly treacherous endeavor, but went by fast and definitely worth it for the spectacular views and sense of accomplishment. 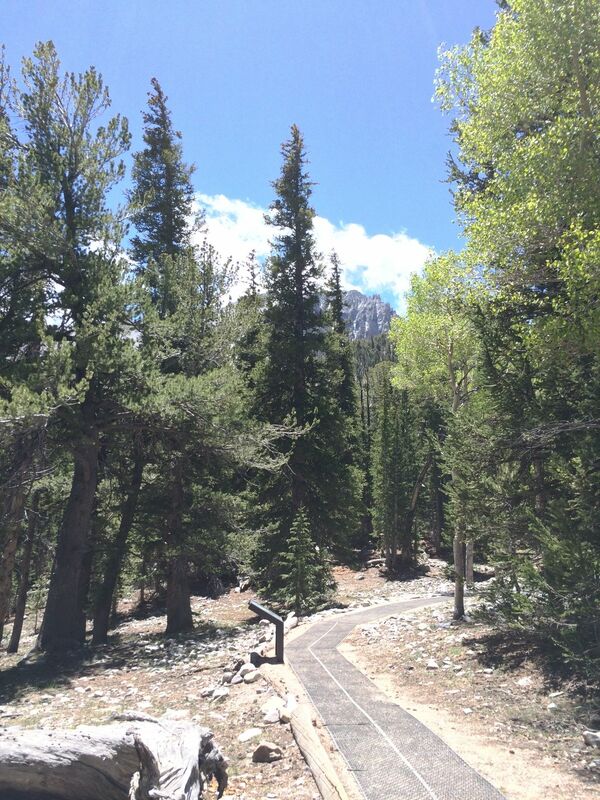 This is a well maintained trail around two small ponds and up to a grove of bristlecone pine trees. 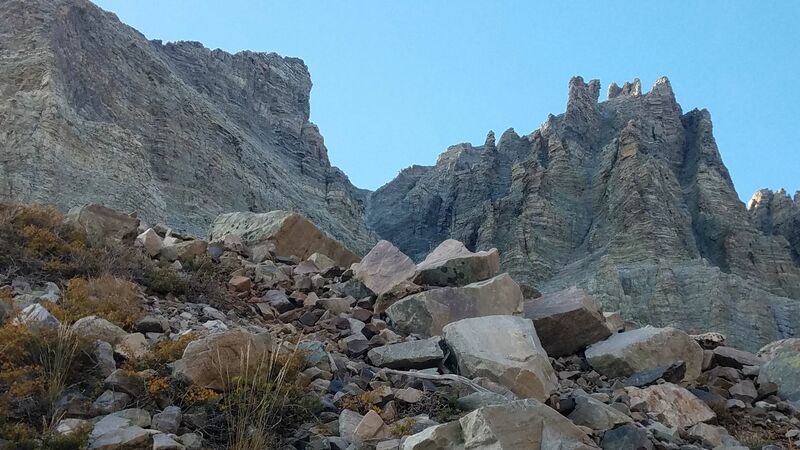 You can continue on for about another mile on a very rocky path to the Rock Glacier, which no longer appears to be in existence. 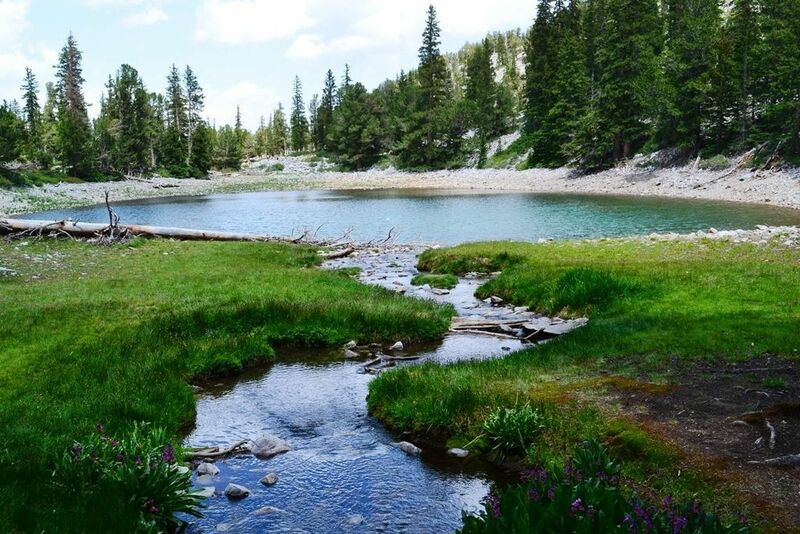 It's all quite beautiful high alpine hiking, with a glcial cirque, but the trail is extremely heavily used. Such a great hike. First 2 miles are super simple, and well sheltered by trees. Last 2+ have exposure, super windy and was a bit cold. Great hike. 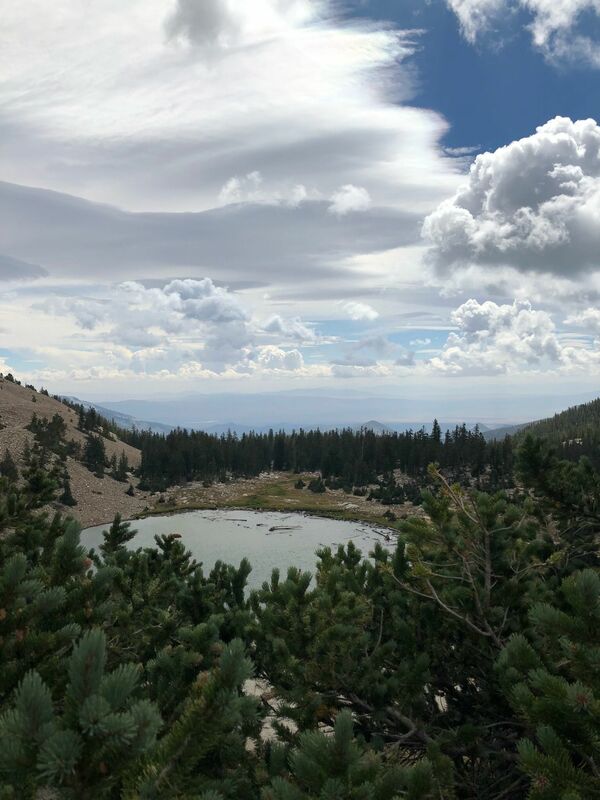 Once you get to the Bristlecone interpretive area, it's totally worth it to continue on to the glacier hike. 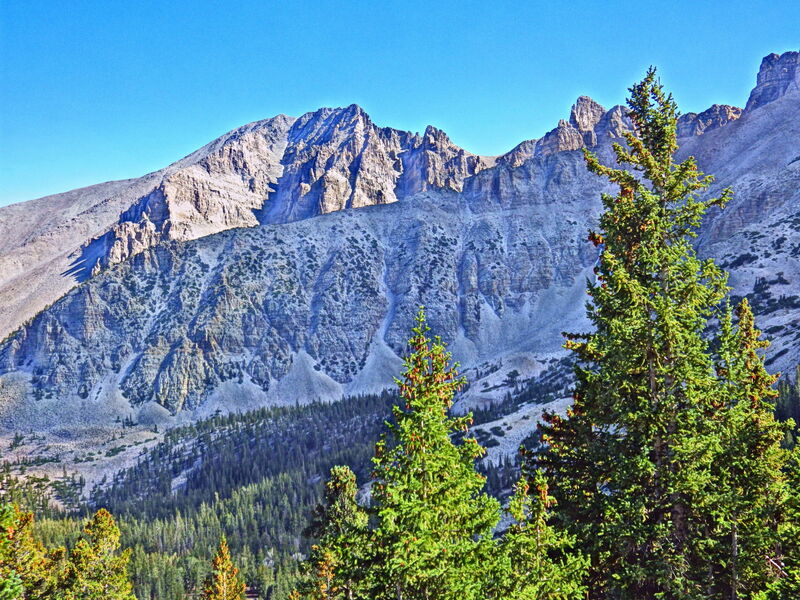 You'll wind up looking right up the sheer wall of Wheeler Peak. 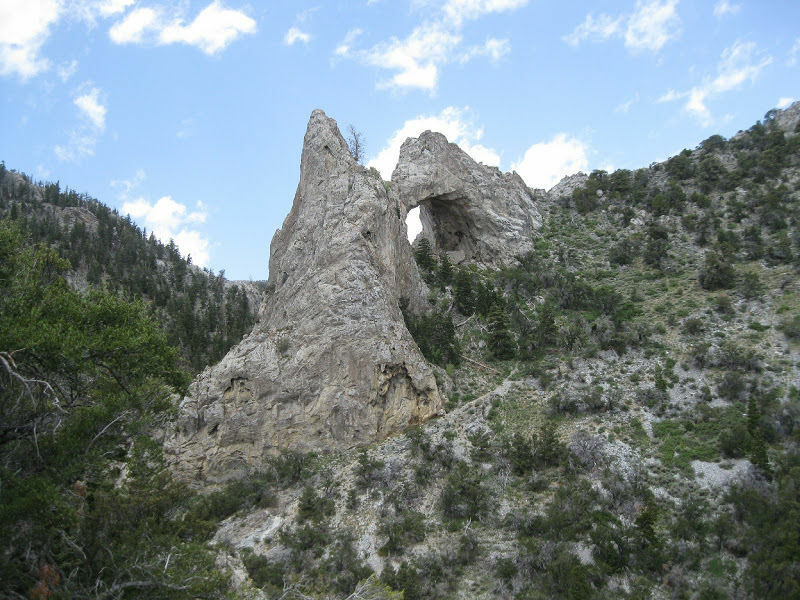 The sides are lined with incredible cliffs and rock formations that are hundreds of feet tall. It's amazing. This is one for the whole family. My kids love this trail. We normally see wildlife along the way to the lakes, and the kids like playing in the water. 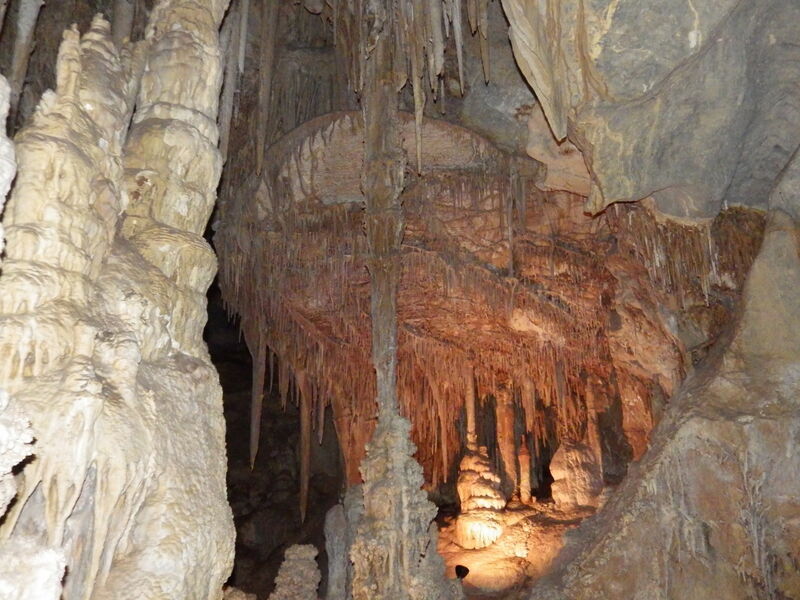 Awesome cave. If you can, get your tickets in advance. This is a great hike with a secret at the end. 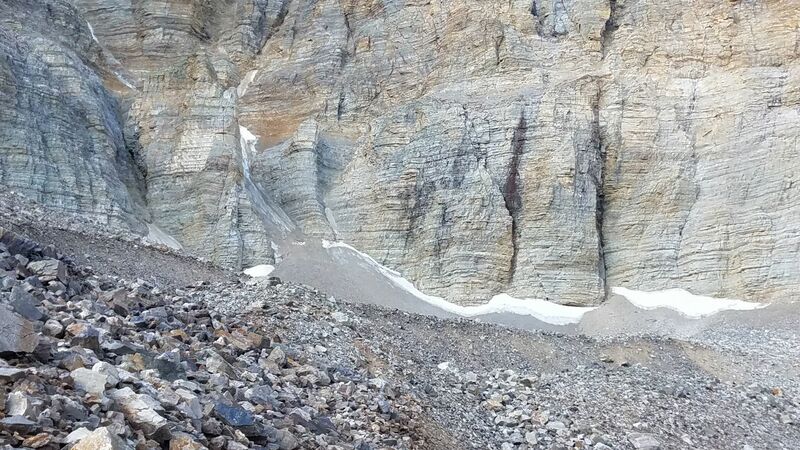 You can go past the "end" of the trail and find the actual glacier. That part is pretty difficult and requires some boulder hopping. I wouldn't recommend taking small children past the official end of the trail. There are cairns marking the easiest way up to the glacier, but they are difficult to spot. 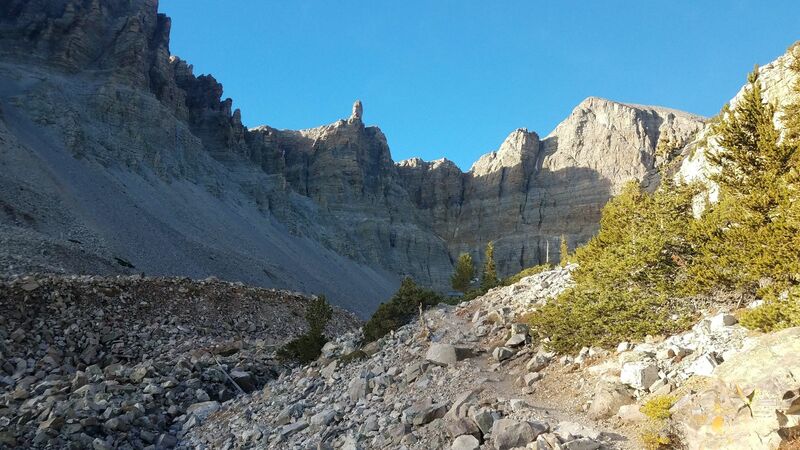 They line a boulder and rock ridge to the southwest of the "lamp post" at the end of the official trail. You can hear the water rushing from the glacier underneath the rock glacier as you get closer to the ice. 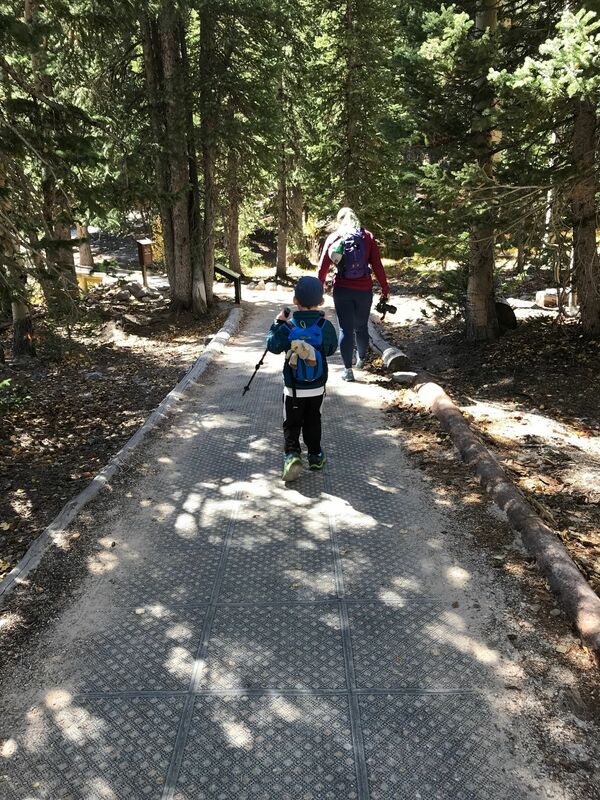 Great hike for young kids. More of a walk than a real "hike" but the scenery is pretty great. There were very few other people on the trail and we had both lakes to ourselves for some of the time. 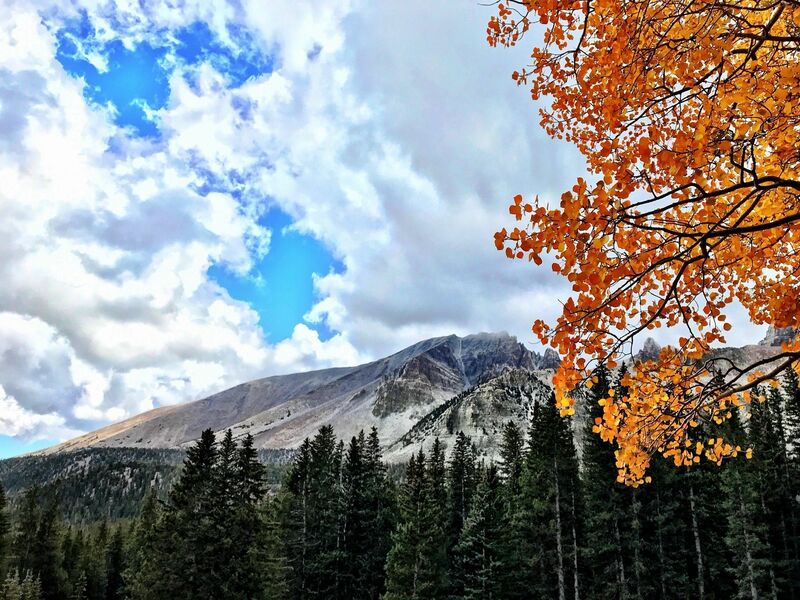 Matthew Plank recorded fall colors are amazing today!! !